Round two of the Victorian Superkart Championship was run over the labour day long weekend at the Winton Motor racing circuit, in conjunction with the opening round of the Australian Motor Sport series. 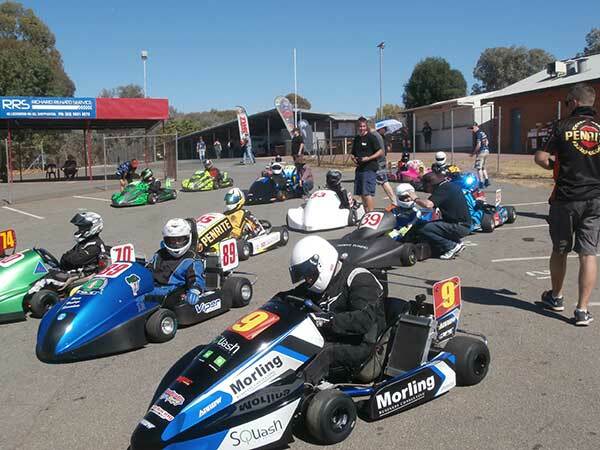 The club split the round by having its larger capacity gearbox karts run on the Saturday, while the Stock Honda and non-gearbox Rotax classes competed on the Sunday. The weather was hot and the circuit was in fine shape. Gary Pegoraro showed the way in the 250 International class over an ever improving Jamie MacDonald and Warren Thompson. 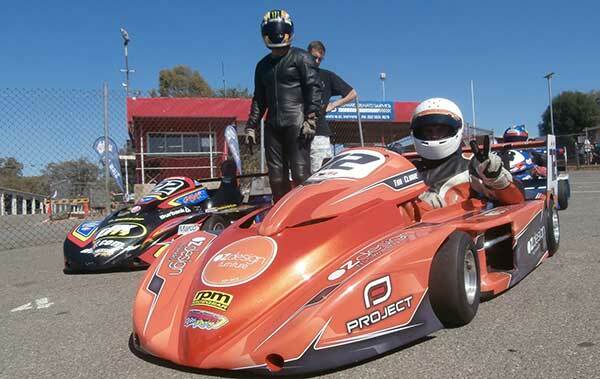 Numbers were down in the big banger classes as many felt the track was too bumpy for their karts – how wrong the were with Pegoraro making special mention of the track surface at presentations. In the 250 National class it was a clean sweep for Tim Clarke in only his second appearance driving a 250. He went on to set one of three new lap records for the circuit ahead of Jason Akermanis and Peter Kay. 125cc Gearbox provided the best racing of the weekend for the minor placings as Bradley Tremain clean swept the day, also claiming a new lap record ahead of Bobby Jane (yes son of Bob) and Lee Filliponi. Sunday it was the Stock Honda and Non Gearbox Rotax classes that took the stage and did not disappoint with good racing action. Bradley Tremain did an overnight conversion of his open 125 kart to Stock Honda specs and almost completed his clean sweep like the day before, save for one race. Kieran Morley chased Tremain hard all day and took one heat win however a DNF in race three relegated him to third spot behind Rod Clarke in only his second outing driving a gearbox kart after so many years in the Non gearbox ranks. The non gearbox classes certainly provided good racing in the mid field while the leaders were able to gain some valuable space from the packs. Interstate drivers Patrick Ross and Rod Savage were a force to be reckoned with but young Nick Schembri was having non of that and may have clean swept the day if not for an error in Race one. Further back normally quick driver Sunny Perera was struggling in the heat with engine issues. The end result was Schembri over Savage and Ross. Meanwhile in Rotax Heavy class, Colin McIntyre and Darren Ridd were hard at each other all day prompting McIntyre to charge hard and take out the third lap record for the weekend. It must also be noted that the lap record was set by Ridd in the same race only to be bettered by McIntyre. At days end it was McIntyre over Ridd followed by a consistent and quick Jeremy Crust. 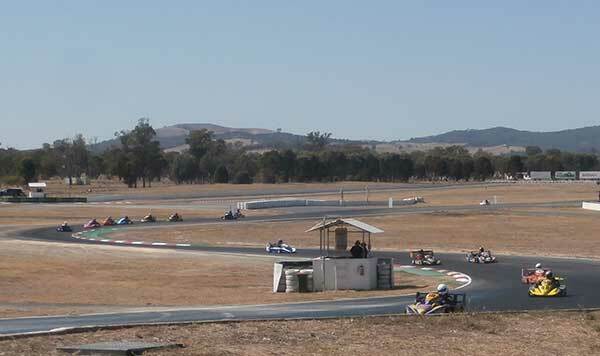 The Victorian Superkart Club would like to thank the Benalla Auto Club for such a fine, well run event and hopes it can be part of it again next year.